2018-08-31 NEW • Distribution Release: Linux Mint 3 "LMDE"
Rate this project The Linux Mint team has published a new version of the distribution's Debian-based branch. 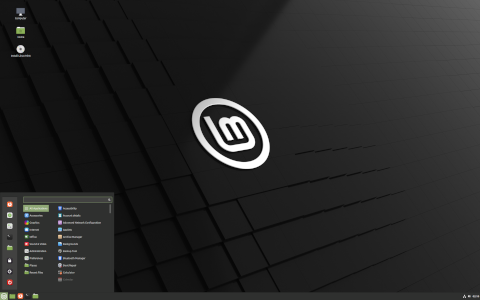 The new version, Linux Mint Debian Edition (LMDE) 3, is based on Debian 9 "Stretch" and features the Cinnamon desktop environment. "LMDE is a Linux Mint project and it stands for Linux Mint Debian Edition. Its main goal is for the Linux Mint team to see how viable our distribution would be and how much work would be necessary if Ubuntu was ever to disappear. LMDE aims to be as similar as possible to Linux Mint, but without using Ubuntu. The package base is provided by Debian instead. There are no point releases in LMDE. Other than bug fixes and security fixes Debian base packages stay the same, but Mint and desktop components are updated continuously. When ready, newly developed features get directly into LMDE, whereas they are staged for inclusion on the next upcoming Linux Mint point release." Further information, such as system requirements and known issues, can be found in the project's release announcement and in the release notes. Download: lmde-3-201808-cinnamon-64bit.iso (1,616MB, SHA256, signature, torrent, pkglist).